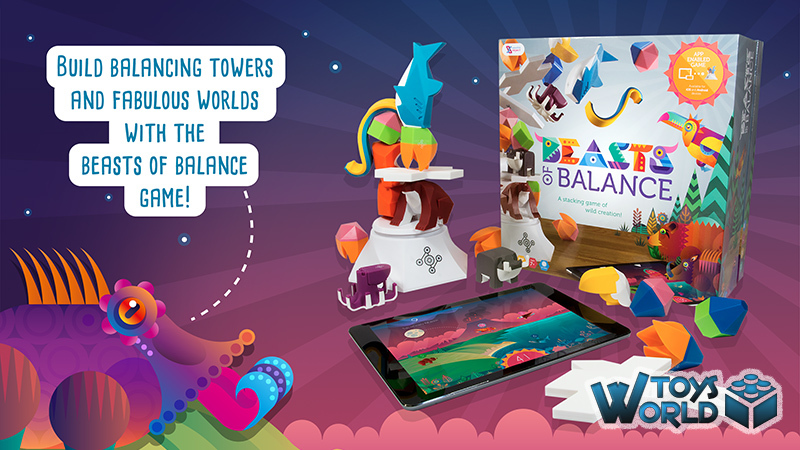 Create vibrant worlds and teetering towers in this digital hybrid tabletop game for 1-5 players. 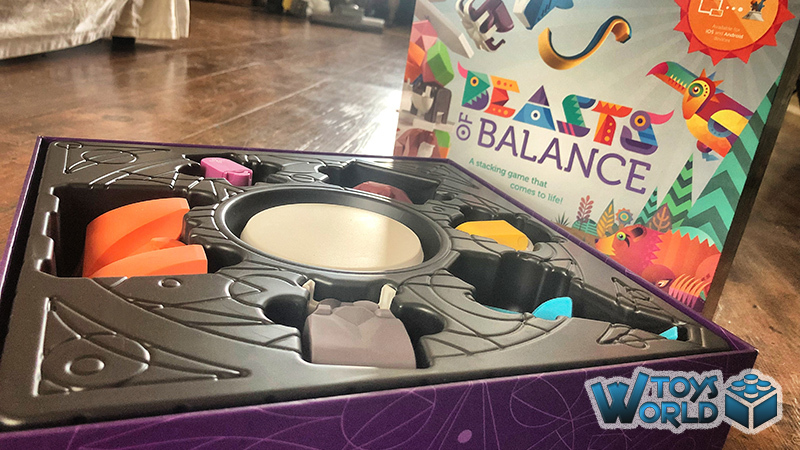 Truly innovative and endlessly replayable, this award-winning tabletop game is fun for anyone aged 7 to 100. 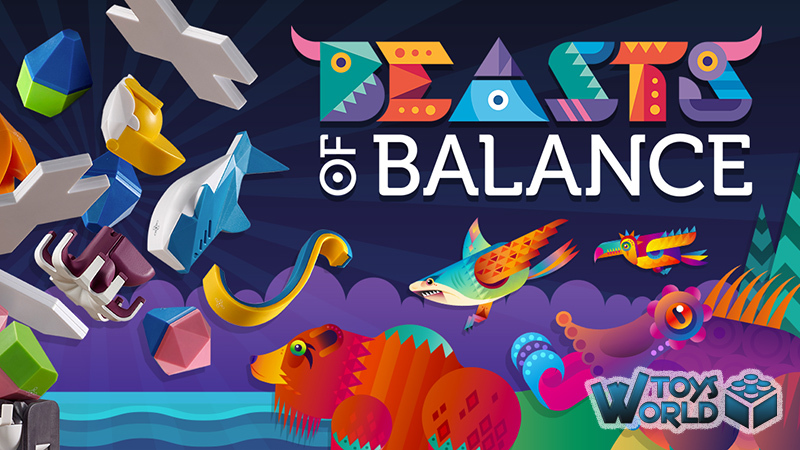 Beasts of Balance harnesses the magic of technology to create the perfect blend of physical challenge and digital depth by pairing custom hardware, 24 beautiful pieces to stack and a free app compatible with most modern iOS and Android devices. Players take turns to pick a beast, element, action or miracle piece to stack onto the tower. with each new piece evolving the world they’re creating on their connected smartphone or tablet in new and surprising ways. 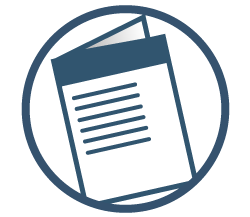 We live in an increasingly technological world, where more and more of the things around us are ‘going digital’ or being simplified through electronic application. 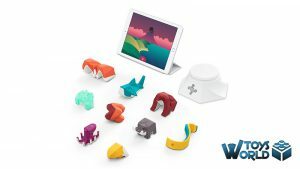 The way kids play today is very much different to the way they played just 30 years ago, but a bridge between reality and digitality, exists, thanks to the folks over at Sensible Object. Beasts Of Balance is very much a digital game; you need an iOS or Android device to be able to play, but the hands-on, physical aspect of the gameplay, is, arguably, the most enjoyable part. Players have a plinth on which they have to balance various animals and elements, notching up valuable points in the process. Each piece, which you scan in to the front of the plinth, is comprised of flat angles, which you can use as a platform to balance other objects. If any of the pieces fall down, you have a short amount of time in which to rebuild, before the timer runs out and you lose the game. You can also lose points, too, as you slowly introduce new creatures; other existing creatures can become jealous and lose their fabulous-ness, so it’s about balancing your in-app world as well as the physical balancing of the pieces in the real world. The digital aspect of the game, sees your pieces come to life in the app, where you have a world comprised of land, sea and air. The animals you scan in are specific to their habitat; a shark stays in the sea, a warthog stays on land, a toucan stays in the air e.t.c. There is, however, a genius element to the game, where you can migrate or cross the animals, thus creating a seemingly endless plethora of possibilities. You can also introduce elemental artefacts featuring earth, water, air and fire (to name just a few). 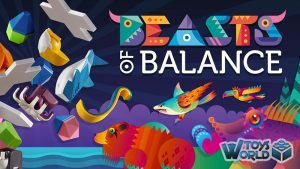 As of writing, there is a new update to Beasts Of Balance called ‘Battles’, where up to 3 players can select their elemental guardian and battle each other to become the ultimate god of the game. Optioinal battle cards can also be purchased, allowing you to cast spells on other players beasts. Sensible Object have injected some much needed life to the toys-to-life genre, helping to take it in a new and exciting direction, and we genuinely believe that the company have a long, bright future. 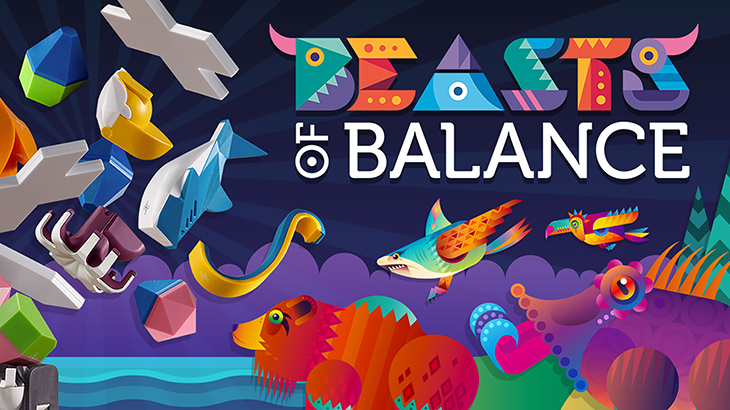 Beasts Of Balance is, in our opinion, a definite must-have for your board game collection! + Click Here to buy ‘Beasts Of Balance‘ from Amazon.co.uk! 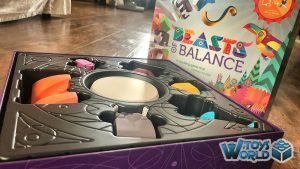 Board Games & Puzzles Android, Balance, Balancing, Beasts, Beasts Of Balance, Board Game, Game, Games, iOS, Sensible Object, Toys To Life. permalink.